This game has fired Clue for me. Like Clue, Mystery of the Abbey (MOTA) has players trying to find out ‘Who done it?’ One of the monks of the abbey has been found dead, and all signs point to foul play. There are 24 suspects (none of which are the players themselves)and are each represented by monk cards. One of these is randomly selected and placed under the board as the culprit. These potential murders have traits which include their Order (Franciscan, Benedictine or Tempar, fat/thin, beared/clean-shaven, hooded/bare-headed, and rank (Father, Brother & Novice). Unlike Clue there is no roll and move mechanic. Players all move one or two spaces and the abbey can be traveled from one end to the other in three rounds. The different rooms have special abilities. Players gather information through these rooms, asking other players questions and by passing cards during Mass (which takes place at the end of each game turn-4 player rounds). When a player ends their movement in the same space as another they MUST ask a question of that player. The game gives rules on what can be asked and what can’t and players cannot lie in their answers. The player being asked can place their finger over their lips and take a Vow of Silence (refusing to answer the question). If they do answer it they may then ask the first player a question which MUST be answered. All these questions are alound and public. After 4 player turns all players are called to Mass in the cathedral. An Event card is played and one or more monk cards are passed to the player to your left. Players can make revelations and accusations. These work in a similar fashion to the suggestions and accusations in Clue but are not game enders. In Clue you make a suggestion, which forces a pawn to be moved to the room and players are required to show a card from their hand-what do you mean I have to go to the lounge? I just spent 10 minutes moving to the ballroom! While there is a room in MOTA that simulates this, MOTA has revelations. Players make a positive statement like, “The culprit is a Templar”. This revelation that proves correct yields +2 points. Each false one -1 point. Accusations name the murderer. If no player can sho that named monk card the player gets +4 points. If that card is shown -2 points. Thus it is possible to win the game even if you aren’t the one to properly accuse the correct monk! Replay Value: More than Clue for sure. The Event cards shake up the game and you’ll see different ones each time you play. There are also many variants you can use. Included are several blam\nk cards you can customize! I think are fantastic. The board is a good size but not enormous. Players are given a colored page with a picture of all of the monks and a player guide to conceal it. The player tokens are resin and the dice are wooden. The cards are of good stock and stay true to the theme. A small metal bell is used to mark the turns of the game. Ease of Learning: The basic rules are not that hard. The player guides help you remember what room does what special action. The trick is learning what questions you can ask to garner the most information, but keep in mind this is public knowledge. I love the theme (I love The Name of the Rose). I like the idea that none of the players are the killer. It bugged me that in Clue I could be Prof. Plum AND be the killer but not know it. If the game seems slow at first don’t worry, it picks up as it goes! Again this has murdered Clue for me. Let me preface this by saying I really like this game. There is so much going on that it crippled the two ‘mathy’ gamers in my group. My friends that like to think out every move for that optimal choice, not only for this turn but the next, had a really tough go at this one. I watched one of thier heads explode. The rules of the game may seem daunting, but really aren’t that complex. Feld takes the Mancala mechanic and throws it into this heavy Euro. Proper manipulaion of the colored bits in the bowls yield you bonuses, but if you concentrate just on this portion you will miss out on a lot of the action elsewhere. The game is fairly abstract, but has enough of a rice-paper thin theme that is good enough for my play group. I picked this game specifically for my gaming group. Trajan was too heavy for some; especially the number crunchers but Stone Age and LoWD are too simple for them now. They’ve finally reached that stage where they need something just a little more than a Gateway Game. I think Courtier does that pretty well. It’s not so complicated that a newer player couldn’t grasp it though. It was wonderfully frustrating to plan a move out only to have a courtier used by another player to complete a petition (mission) right before I could strike. It can be frustrating too when none of your cards progress you any closer to any of the petitions and you waste a turn discarding only to draw an equally worthless hand. The bidding for hands at the start is right out for us as it bombed terribly. I suggest either the random card drawing or maybe a drafting mechanic similar to 7 Wonders. I’m glad to have it and will gladly play it again. We’ll drop the bidding and might start with fewer influence cubes to make it more challenging. After a couple of the Queen’s Fashion cards have been flipped the game picks up pace until the Queen is arrested. After that 6th petition is completed you are all living on borrowed time! I really like this game. I am not very good at it but the game forces you to make hard decisions for almost every card you play. This is a game for the thinker. It’s not overly mathy, but as each card can be used for so many things you have to decide not only what would benefit you the most now, but also what will help you through the rest of the game. I enjoyed watching my wife hope for the Pest/Plague threat tokens to add up so she could get rid of a one shot character and open up a spot in a house. I love the artwork and the components. WARNING: Not for those players with color-blindness issues. Unlike a lot of other games (ex: Ticket to Ride) where each color also has an icon on it, this game does not. Colors play a major role. Still if you can mark them ahead of time you’ll be good to go. This is a game for you if you want to engage your critical thinking. …for people that like to throw dice along with putting meeples out. This is the game that competes as a gateway against Lords of Waterdeeep in my gaming groups. The board is colorful, language independent and with the exception of one icon normally easy to understand. The dice chucking for resource management adds just the right amount of tension to make each turn a little more fun for most of my friends. I have yet to find someone that played this game that didn’t want to play it a second time. There seem to be a few places where the first workers go all the time. I won’t say what they are and let you discover them for yourselves, but please don’t forget how the cards can really slingshot your points at the end of the game. Remind new players of this too. This is where some of the player interaction comes in, although there really isn’t much of it other than blocking off slots on the board. Really a fun game that a 10 year old can understand but a 90 year old can enjoy. What sold me on this game was it’s theme. Spending money by taking your chef and horse on a boat ride is so silly it’s fun. I have played this game a few times with 2, 4 and 5 players and it seems to scale well. The board changes depending on the number of players so the ‘tightness’ of the board felt the same. The biggest challenge I’ve faced is getting the new players to understand how to use actions properly and reading the iconography correctly. I recommend you either make copies of the last page of the rule book or go to BBG and they have a file ready for print there. There is some luck to the game, but it seems to be mitigated by the different hourglass positions you choose from to plan your week each round. You can take that first player slot, but it’ll cost you during the rest of the round! There are some auto-take cards if you can grab them and the new players have to remember to sell those properties before declaring victory. After the second or third round most of my play group grasp the mechanics and it’s normally just a few questions about individual cards and sometimes how to combo them for the best result. Once the players understand how to perform their actions we have everyone do their actions simultaneously and that really speeds the game up. This plays like most of the other Fluxx versions with the Sci-Fi theme. You’ll notice Star Wars, Star Trek, Lost in Space, Dr. Who and Hitchhiker’s Guide all mixed into this one. It does have Creepers (absent in Family Fluxx) that are not as complicated as Zombie Fluxx. It’s right in the middle of the series plus it’s shown on Wil Wheaton’s Tabletop on Youtube! New players can grasp this version easily enough, it has a little of the Take That but is not nasty. The game can last an hour or five minutes depending on your luck and what you can pull out of your wormhole! Like many other folks I would compare this to Lords of Waterdeep (LOWD) with a lot more meat on the bones. Lords is great for the gateway gamer, but if you want more theme in your game and don’t mind taking more time with it, Yedo is the way to go. The missions tell a story for your clan as you progress through the turns. You also get to keep most of the items you buy through the game. Also in this game that is not a part of LOWD is the trading aspect. This still has that intense worker placement feel where you have to choose what spaces for your disciples to take first. Yedo also has a short bidding portion of each game turn. Love or hate bidding this mechanic will work for you as it isn’t a never ending bidding war. Each player after the first gets one bite at the apple and the starting players gets the last call. if a player wins a bid they’re out of the bidding for the rest of that round. You can tailor the game’s meaness to suit your play group. It was an instant hit. I have to agree with Jamie form the Secret Cabal Gaming Podcast, this is a pure hidden movement game. Having introduced about 10 people to the game all have grasped the mechanics within minutes and all have wanted to play the game again. For the Alpha personalities the role of Jack is best. Some of the more quiet players in the groupings have been drawn into the conversation with the Head of Investigation role, and we make sure to ask what everyone’s thoughts are. This game has fired Scotland Yard for hidden movement games for me. I have not played Nuns on the Run or Fury of Dracula, but this game runs very similar without the extras. There are several means to tilt the game towards the police or Jack depending on how the trends have been running in your group. So far we have not had to use them out of necessity. We have used the false clue tokens but it didn’t really hamper the police in that particular game. If you’re looking for an intuitive hidden movement game to introduce people to this is the game. It is dripping with theme and can be absolutely nerve wracking for Jack. The winning side always delights in the payoff of euphoria when they execute a successful arrest or finally escape. This is the game I use to break new gamers into the mechanic of worker placement. Most of they folks I have played this with are new to any board games that isn’t named Monopoly or Sorry! The cover art, board and cards engross players enough to get them to ask what the heck the meeples are. They quickly overlook the cubes and can get behind the mechanics even if the theme is sometimes lost. My wife and I are planning on upgrading to use the D&Deeples but have used other miniatures from our collections instead of the standard meeple agents. Once players have had a game or two or LOWD and a game or two of Citadels, Puerto Rico is really easy to grasp. I strongly encourage you to check out the You Tube channel Geek and Sundry and watch the tabletop episode! This was the third in the Hero Trilogy (as I call it) that I got a chance to play. Heroes of the Multiverse is a purely cooperative game that has the players hanging together or hanging seperately. The main villains tend to be too powerful for just one or two heroes to defeat. Couple this with a nasty environment and you’ll have a super disaster. If you like the superhero theme this game has it in spades. Each hero plays in a unique fashion and comes with his/her deck completed. Shuffle and they are ready to rock. My original quest was to see how this, the DC deck builder and Marvel: Legendary matched up. HOTM: Grab a buddy or two and take the lumps the big bad has for you. Hopefully you’ll put together a team that can weather the storm and come out on top. The replay out of the box is really good. (Marvel has more I think,) There’s no ‘take that’ or back stabbing and you’re not pulling punches to rack up more VPs than the rest of the team. Best components and theme. DC: Straight get the better cards and combinations than the rest of the table. Beat the master villains first and watch your power grow. Best for the players that liek competing over cooperation. Theme is not there like it is in the others, but game play is the quickest. One currencey deck building works well (just get used to playing equipment, powers, heros and villains at the same time.) Quickest games that can be made shorter or longer as desired by adding super villains. Marvel: Theme is in the middle of the 3. You use the 2 currencies (see Ascention) but without the hideous artwork. Recruit multiple heroes to keep the streets clean, rescue bystanders and defeat the Mastermind 4-5 times. Marvel is the easiest to vary the difficulty and you have the option of seeing who has the most VPs in their pile after/if the Maestermind is defeated. This is the only game of the 3 I that I know of that has the possibility of ending in a draw. Red Skull too easy for ya? Try Apocalypse. Longest set up and tear down but best mix of coop and competitive. If you enjoy the base set this should be an auto-buy for you. The extra schemes, heroes and villain add tremendous replay value to the game. The Masterminds in this box will incur some sort of penalty for either the player beating the MM up or the other players. The game also gives you 11 more bystanders to rescue, now there is a perk for your efforts instead of just one more VP for your victory pile. The villains represent some of the newer bad guys. Stryfe is not new, but newer. The Marvel game is a co-op/competive. This seems odd at first but you can always ignore the visctory points racked up by each player and simply enjoy the shared victory or defeat of the mastermind. I have never played where we were out just for ourselves, as the mastermind is most powerful in the beginning as our decks are chocked with SHIELD agents. This game is covered with 2 expansions (Dark City and Fantastic Four) with another one (Paint the Town Red?) due anytime. The base set’s masterminds all have boon if you hit them while the Dark City masterminds incur the game’s wrath. The Dark City was an auto-buy for me. The game is similar to Ascention but with good art instead of the mess Ascention brings. The grudge a lot of players have is the set up and tear down time. I personally like it, bit I see their point. The big selling point for me was the solo play option! 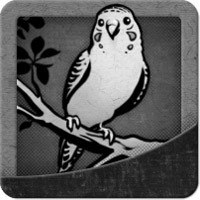 This game is also supported by the community at large, especially at Boardgamegeek.com. I have cutom cards for all of my schemes and included some wound variants. The first thing that will grab most people will be the colorful artwork. It really is grabbing. Each player gets their own board representing the different cities where the 7 ancient wonders were built. After the art is the drafting and pass mechanic that people enjoy. The down time is almost none at all. Each player performs their turn simultaneously. I rated the ease of learning a 2-star just because some of my group were a little overwhelmed by the iconography on the cards and the scoring of the science cards. We mitigated this by having more experienced players sit between the newbs. Advice could be given by the veterans seated in the opposite direction of the cards being passed. (Age I and III ‘advisors’ would be the players to the right. I normally do the scoring to save the effort and math until another player wants to do it. That being said this is THE DRAFTING Gateway game. None of the cards are particularly nasty to other players, and one does not have to build a single army to win the game. Once you get the hang of it flip the player boards over to the “B” side and you’ll have a different experience. This game is supported by a couple of expansions (Cities and Leaders) as well as a wealth of gamer genereated material easily found on Boardgame Geek. After watching the crew on Tabletop play this game I had mediocre extectations and it delivered. Gameplay is simple with the only real decisions to be made are the trading of cards with the other players. I like the components but I fear the replay value is too slight for me to purchase. My neighbors brought this one over and it only got played once. They might have played it in their own house once or twice more, but I think that’s about it. A plus to the game is it is cooperative in the sense that you have to defeat the bag of monsters as a team. You can pick a most heroic player by comparig the number of monsters killed by each player. This is very similar to the Marvel Legendary scoring system, but marvel is far better. We bought this after watching it played on the Geek and Sundry Tabletop channel. This was the first cooperative game for my wife. I had played BSG before, which technically is a coop (but with the traitor mechanic). There’s a reason why this game has continued to sell so well. Experienced gamers can assist the new players with the decisions and of course you can vary the difficulty level. Try not to include the ‘Alpha Gamer’ for these first games as it might turn away the newer players. This is a game that can introduce players to the role selction mechanic. It’s terrific for those who have never had to choose a role each turn before. Moving the crown token around is another fun feature for new players. Most new player gravitate to the Assassin or Thief roles at first bu them realize they’re not getting anything extra most of the time. The theme is pasted on so you won’t really feel like you’re building districts, but the interplay is fun. There’s some deduction and trying to figure out what the other players are up to. As a house rule we’ll add the Artist to the base 8 roles (as the 1st expansion comes in the box now standard) to add to the roles possible. We’ll bury one random role card and give one random role card to the last player (the player to the right of the crown token). If you do decide to use the expansion roles I recommend keeping the Thief in the mix. A few turns of a player using the explorer and alchemist can see a lot of gold being stockpiled and a player could potentially run away with the game. I got this game as a goft from my wife. I put this on my wish list because I thought it might be a game my kids (6&7yrs) could play with us. Along with Survive! my stinkers love the ‘Get Daddy’ part of this game which makes it easier for them to get into the competitve mechanics of some games. It does rely on the luck of the dice rolls, but it’s so light-hearted it is still fun. I have yet to try the expansions, but the base game has been a hit for my kids and adult friends alike. Ther might be enough copies in circulation in your area where you can try to take over the city with the Kraken (the best beast ever) without actually buying it first. My wife and I take this with us whenever we’re going out to eat. The game sets up in seconds and takes about 2 minutes to explain to new players. It is THE filler game we’ll break out. It scales well for 2, 3 or 4 players. The biggest hangup ups for introducing players to the game aer its name and the red felt bag it comes in. Once you get your friends past these two things they will have a blast. Many groups will play one less building than the rules state to end the game. This shortens the time by a little so it won’t drag. Players will grab the Warlord and destroy a leader’s buildings prolonging the game. Another way to play the Warlord card is the building is simply flipped over instead of discarded. It still counts as a building for game ending purposes, but loses its color and point value. Of course Threats can ruin your day, but there are times when you can make them work for you. Have that 0 VP character with the one-shot power alreay spent? Is it going to score you more points because of a laurel character? If not let the plague carry him/her off. Don’t want to loose a house to the fire? Build one extra canal to eat the red threat tokens and carry about your day. I make sure to only worry about the threats when they will hinder me too much. There are plenty of ways to get rid of the markers without tossing an otherwise useful card at the problem. I equate this to letting certain Crisis cards “auto-fail” in Battlestar Galactica. Sometimes your resources are better spent at the expense of something else. I’ve played two games and this seems to be the running theme. As juicy as the Minister seems, being able to place three influence each turn helps you dominate. Even if this is just to keep the Culture Coterie. Once you have 2 influence on both the Cardinal and Bishop you are set. It will take all of the other players to cancel you out. Score using one of the courtiers if need, but only if you have three influence on the other, or two influence if the courtier is not filled up with cubes. We’ve always played the Baron works the same as the end game. If there’s a tie compare the players’ discard piles. The one with the fewest points in their pile loses. This game can be nasty. There is a setting suggested in the rulebook called the Geisha setting. This takes some of the sting out of the game. There are Event and Action cards with “Samurai” printed on them that can make the game more cut throat. If a person is new to worker placement and can get through understanding the mission cards consider playing without the watch for the first game, or maybe the first few rounds. After three turns or the first red mission most folks get the mechanics of the game. We have found through our plays that if you can get to the Double Event on night three you should be safe for the rest of the game. I recently took 125 as my hide out. By stalling for the first two nights I made the police move the wretched tokens all closer to my hideout. I have had good success with new groups by hanging out at the scene of the crime and following the police out of the area. The central hieout spot allowed me to kill one of the central ladies as the second kill of the Double Event and the final kill to the south. Both let me to take a simple carriage double movement to my hideout. When we play with new players the heroes always go before the villians. Nothing turns new players off quicker than taking damage or not being able to do their power the first turn. Letting the heroes go first gets them at least a turn. Until the expansions come out for the game we use that particular side as a wild. Every once in a while if I have a Priest or Handmaiden and the Countess I’ll discard the Countess. Players tend to try to guess if I have one of the royal family members. We took this from a tip off Werewolf. I normally run the game and will have the players make some noises when the spies open their eyes to see who is on their team. I have a neck that cracks and can’t turn my head without making a crack. Thus all of the players will lightly tap on the table when the spies open their eyes. This masks any noise the spies might accidently make when they discover who the other villains are! Our house rules include using ALL 10 of the meeples even when the directions tell us to keep some off the island. More meeples=more chaos. Players can’t double up on an occupied hex until all of the hexes have been filled. We also mix the meeples up without looking at the values. Players can look at the values only when the meeple is destroyed or at the end of the game. It adds and extra sting when you make a shark eat a meeple and then pick it up to show the players the value. Everyonen but the owning player cheers or jeers especially when a 5 or 6 value meeple is killed off. This allows us to blame the random placement of the meeples instead of or own lack of skill or strategy. The final house rule is if there is a troll move we cheer if you do it. You can skip a troll move to save your meeples, but moving sharks away from other players swimmers is met with heckles and full boats that can be destroyed by sea monsters must be hit! We make it a point to sit new players between experienced players for the first game or two. When the cards are played to the left the player to the new person’s right can be consulted for advice and vice versa. Once a player is more comfortable with the iconography this is no longer an issue. My copy has two sets of quick reference sheets that we’ll keep near the new players in case they want to keep their decisions more hidden. We will place the Bystanders in a pile face down and draw from the pile when needed. This keeps what kind of bystander we’re rescuing a secret. I would recommend sleeving the role cards as soon as you can. The quality of the district cards is such that they can handle the normal shuffling during game set up. The role cards however will see a lot of handling! For a little extra mystery we always add the Artist to the base set. When the roles are to be selected the first player shuffles the nine cards, randomly choose one to bury and one to plass to the player to the right. This works very well for 5 or more players and the last player doesn’t get crushed by the remaining roles handed to him/her. Marvel Legendary, Last Will, Trajan, Stone Age.